Looking for a way to make your child’s imagination run wild? Why not consider something from Aarons Outdoor Living’s Cubbies and Playgrounds range. 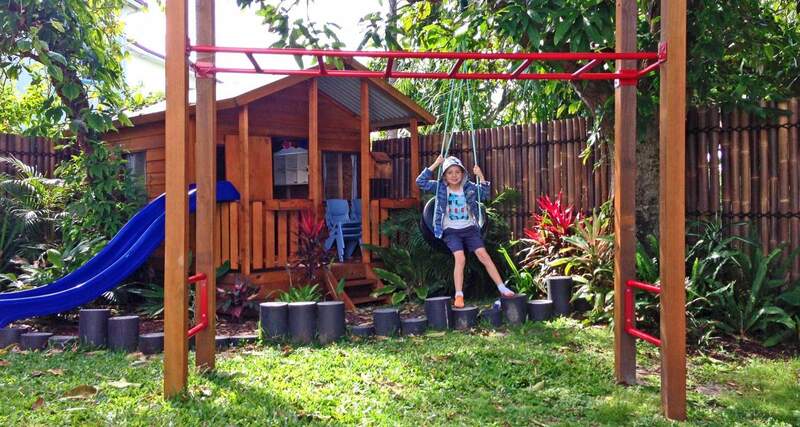 Aarons Cubbies and Playgrounds are loved by both children and parents around Australia. They help children to not only develop their imagination but also increase their social skills and physical development. Our play equipment promotes gross motor skills, an important skill that must be developed before kids can master fine motor skills. Best of all, it will ensure your kids are getting that all important outdoor play time. Outdoor play not only gives us fresh air and a chance to play, but it also gives an appreciation for the environment. Research also shows that outdoor play has a positive effect on mood and behaviour. It’s amazing what a little fresh air can do! Do you have an Early Learning Centre and are wanting certified play equipment? Check out our Educational Play range. This includes cubbies, forts, swing frames and imaginative play equipment such as pirate ships and play trains. We have everything you need to ensure your kids are entertained and having fun, whilst also developing those all-important physical and social skills. Best for Backyard tea parties and adventures! Why buy an Aarons Cubby? It’s the little things. Hardwood Jarrah trims and treated pine internal framework not only ensures you the best quality and the best-looking cubby on the market but also the best resale value in the future. With eight sizes, in four elevation kit heights and various imagination options, the possibilities of an Aarons Cubby are endless. The young ones will love playing house in their new space, or you can transform it into a play shop. Have it on the ground or above-ground with a climbing wall to get in and a fun slide to get down while giving extra space underneath that is shaded and cool. Cubbies aren’t just for the younger crowd though – they can easily be changed into a teenage retreat! Best for the little adventurer in your life - learn through play at home! Aarons Outdoor Living bring you this awesome range of kids forts that are fun and functional. In amazing vibrant colours, our Forts will bring countless outdoor adventures and memories to treasure forever. Your Fort can come with a range of additional features that truly make it a favourite for kids. This can include a timber-framed swing attachment, climbing wall with rope and a super fun twister slide. Even in one small area, your child could never be bored as they challenge themselves without even realising. Our forts are great for both the home backyard or Early Learning Centre. Aarons Forts are made from solid timber and include accessories that encourage imaginative play! Aarons Playground Equipment is made with the highest-grade materials for your child’s safety in mind. Our play equipment will encourage gross motor skills as well as creative thinking, both vital to a child’s development. Children can have a go on the monkey bars working those muscles and hand-eye coordination, before deciding to play as a Pirate on our Pirate Ship for imaginative play, and then jump to swings to move even more muscles…and they’re doing all of this while having fun! 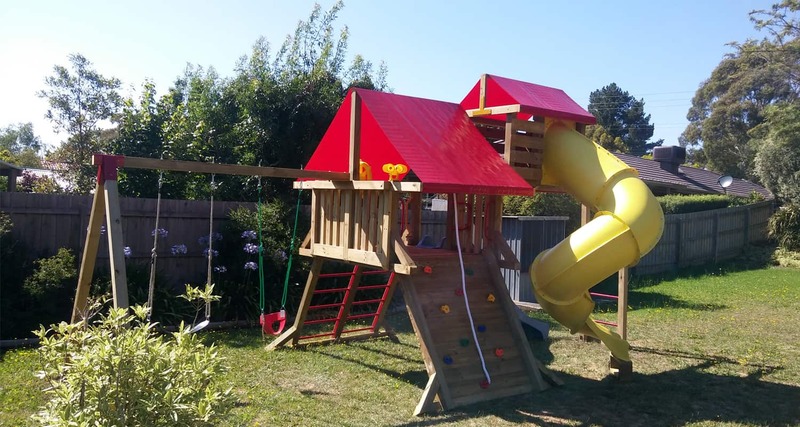 Purchase in-store from Brisbane, Sydney, Melbourne, and Adelaide or let us deliver and install your new playground hassle-free. Why choose Aarons cubbies and playgrounds? At Aarons, we believe a child should be able to enjoy playing outdoors as much as possible and do it safely. We create cubbies, forts, and playgrounds, so children have a free space to play and learn (even if they don’t know it!). We don’t want parents and educators to worry about the play equipment children use too, which is why we make sure our products are durable and able to last years of playtime. We do this by constructing our cubbies and forts with the highest-grade materials available to construct a sturdy product that kids can enjoy for years. 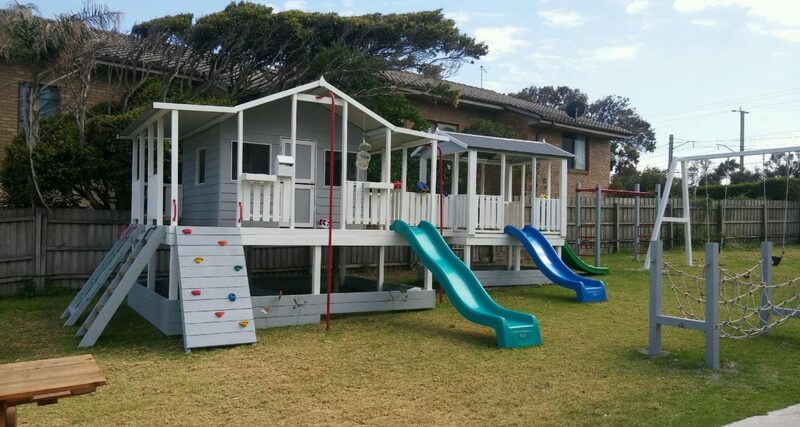 Whether it is for your own backyard or an Early Learning Centre, you will get nothing but the best products and service available from us. Our aim is to make sure that you (and the children!) love the new space we can create for them.